Celebrate the 150th anniversary of the publication of Louisa May Alcott's beloved book, Little Women. 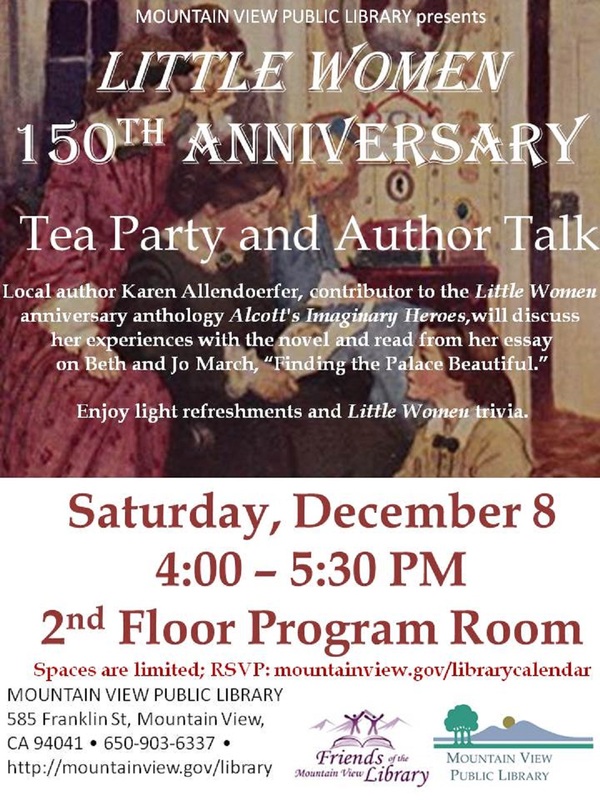 Join us for an author talk with tea and light refreshments, with guest K. L. Allendoerfer, whose work appears in the anthology Alcott's Imaginary Heroes. RSVP: Registration is required. One person per registration entry, please (each attendee should register separately).